Part memoir, part meditation, this intimate portfolio is a collection of vivid stories and evocative images that honor this immense and wild land. 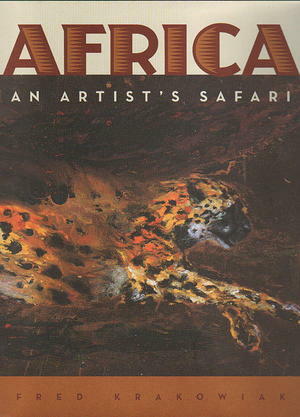 Through breathtaking illustrations and a well-informed narration, the collection captures an Africa full of color and texture, energy and motion, passion and hope. In addition to sketches drawn while trekking, the book features reproductions of final pieces painted on a variety of materials—bronze, copper, rice paper, silk—and expressed through the ancient art of sumi. Accompanying sidebars reveal facts about the various African animals—lions, leopards, elephants, rhinos, water buffalo, and the like—such as their markings, size, behavior, gestation, life span, predators, defense, and conservation measures being taken to save them.